I just wanted to pop in with one LAST reminder that tomorrow, April 9th, is the last day to get the FREE bonus recipe bundle that we’re giving away to everyone who gets (or has gotten) a copy of my new cookbook, Love & Lemons Every Day. These are yummy recipes that you won’t want to miss out on! Plus, they’re free. What is the bonus recipe bundle? It’s a downloadable, full color, printable PDF that contains 5 bonus recipes that are not in the book and won’t be on the blog, so now’s your chance to get them! Who is eligible to get the bonus recipes? You are! Whether you got your copy of the book previously, or you’re going to get it today or tomorrow, send us your receipt and we will email you back a link within 24 hours to download the bonus recipes. Do I have to buy the book online to get the bonus recipes? Nope! You can buy the book at bookstores throughout the U.S and Canada, or you can buy it online no matter where you live – just take a photo or a screenshot of your receipt, either way. Where do I get the bonus recipes once I’ve purchased the book? What recipes are in the bundle? I emailed you my receipt but I haven’t received the bundle. Our email reply often gets caught in spam filters. Check your spam folder, if you still don’t see it, leave a comment below so that I can reply to you personally. The morning glory muffin is one of my favorite bakery treats – a hearty carrot cake-like muffin studded with dried fruit, nuts, and seeds. 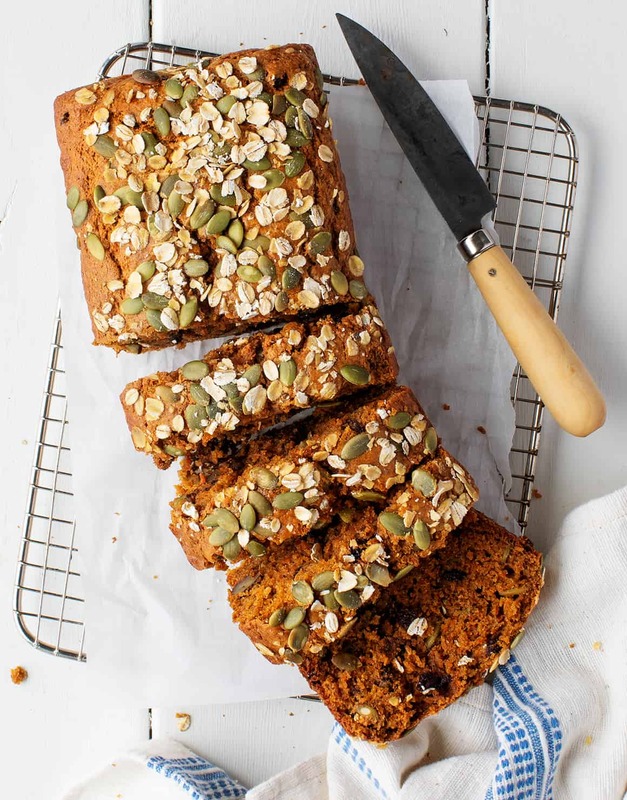 This is my healthier take on it, which I turned into a loaf. It’s my new breakfast kick as well as a fun afternoon snack. P.S. You can make this vegan by replacing the eggs with ½ cup mashed banana + 1 tablespoon ground flaxseed. It’s more dense than the egg version, but still delish. These loaded sweet potatoes are an easy, hearty, and delicious weeknight dinner. The smoky vegan “chorizo” is also a great recipe to have on hand for tacos, burrito bowls, or loaded nachos. Ooey gooey vegan mac and cheese! I’ve tested countless versions of creamy vegan mac & cheese sauce and this one is the best! When you’re vegetarian, you may think you’re missing out on classic comfort foods like chicken tikka masala – but not anymore! Instead of chicken, I use chickpeas for protein, and I stir in roasted cauliflower to make this a hearty, veggie-forward meal. You’re going to love this tangy, tikka masala-like sauce! These might be my favorite cookies of all time. Also, they just so happen to be both vegan and gluten-free! They have all of the fudgy goodness of a brownie with soft middles and lightly crisp bottoms. You’re going to want to make these every day! Order your copy of Love & Lemons Every Day (from wherever you want or click the links above). We’ll email you a link to download the recipe bundle with these 5 bonus recipes today! yay! I hope you enjoy the recipes! I bought mine on apple books and I didn´t get a receipt and I don´t kow how to retreive my purchase information. Hi Maria, do they perhaps email you a confirmation of your purchase or can you send a screenshot of the order on your device? Hi! I emailed my receipt but didn’t get the bonus recipes yet. Does it take a little while? Hi Stacey, we’re sending every 24 hours, if you just sent it, you’ll get it very soon! If you sent it before today, I’ll check your email address and re-send it since they often get stuck in spam filters. Thanks!! great – double checking your email, you will have them by tomorrow morning at the latest. rather – let me know if you don’t see it by tomorrow morning…. thank you!!! I got them, thank you!! Excited to give them a try! I made the cookies from the bundle this weekend and they are insanely good! They are definitely one of my favorite cookie recipes I’ve ever made plus they are vegan and come together very quickly (which is actually a bit dangerous because feel like I will be making a lot). I also made my first recipe from the new cookbook this weekend– the baked artichoke “fish” tacos. So, so good!!! Definitely going in the rotation. Hi Amy! I’m so glad you loved the cookies and the tacos! I sent in a copy of my receipt and I haven’t gotten my ebook. re-sending it to you today! Let me know if you don’t receive it. Hi, Jeanine. I baked my first batch of your chocolate cookies this morning. They are divine. 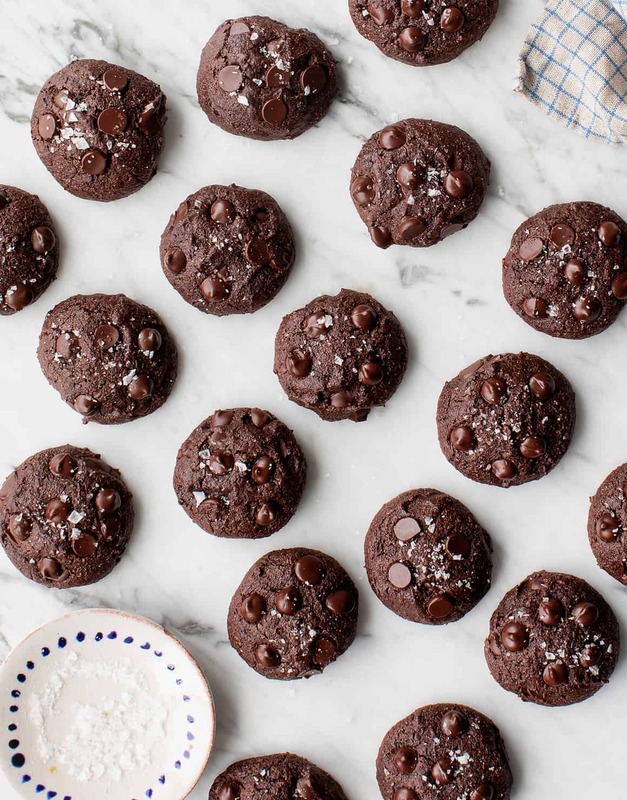 They baked up into puffy, adorable little round cookies, and they are so deep chocolatey. They look so gourmet, like as beautiful as something in a fancy cafe. I love their soft texture, too. Thank you so much for sharing these recipes. Your cookbook is beautiful. I am so thankful that you share these brilliant recipes with the world, so that I can make things that are way better than anything I could ever do myself. Hi Courtney, yay, I’m so glad you loved my favorite cookies!